At George Sten & Co Criminal Lawyers, we really care about our clients. That is why our bail application lawyers are available 24-hours to provide urgent weekend bail application services. 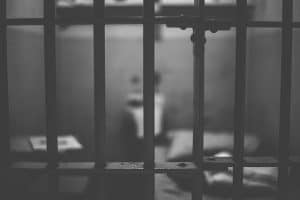 If you find yourself in a situation where it is after normal business hours and you require urgent legal advice or assistance, contact one of the devoted bail lawyers at George Sten & Co. If you have been charged with an offence and taken into custody after business hours, you do not have to wait for business to start back up to be released from custody. The criminal lawyers at George Sten & Co are experts in the area of criminal law and can prepare an urgent weekend bail application on your behalf. They will prepare a meticulous bail application and appear in Court over the weekend to present your application to the Magistrate. Contact us now on our 24/7 urgent phone line, 0412 423 569 to get accurate and timely legal advice. Late on a Friday night, our client was charged with 2 counts of possession of a prohibited substance and was taken into custody by the Police. Initially, he was refused Police bail and was made to appear before the Parramatta weekend bail court. As soon as they heard, our client’s family began contacting the lawyers, which they had used for their previous legal matters. In total, 5 different lawyers were contacted and not a single one answered. After this, our client’s family searched online and contacted several other lawyers. None of which answered their phone or responded to emails. They finally came across the George Sten & Co Criminal Lawyers webpage and contacted us on our 24 hour phone line, 0412 423 569. Our bail application lawyers provide expert legal advice on this line 24 hours a day and 7 days a week. Our lawyer on duty was able to consult with the client’s family and provide the legal advice that they urgently required. The bail application was strongly opposed by the prosecution, who firmly held that our client should be kept in custody. The prosecution held that this was necessary to set an example for others in the local community, which had recently suffered from an epidemic of prohibited substance issues. The prosecution advised that, should the Magistrate accept the application and grant bail, they would initiate further legal proceedings with the Supreme Court to have this action stopped. The Bail Act 2013 (NSW) outlines the law relating to the bail applications, the granting of bail and the conditions, which may, or may not apply to a grant of bail. This act states that any person who is granted bail, has authority to be at liberty for an offence and hence a person who is granted bail, is entitled to be released from custody. There are two types of bail that exist; conditional release and unconditional release. ­­­­­Conditional release refers to a grant of bail that is granted with conditions, whereas unconditional release refers to a grant of bail without the imposition of bail conditions. Has the accused person shown cause why his or her detention is not justified? Does the accused person present an unacceptable risk, taking into account the section 18 matters? Are there conditions, which must be imposed to address any bail concerns in accordance with section 20A of the Act? The likelihood of a custodial sentence (jail term) being imposed if the accused person if found guilty of an offence. The court will then consider whether bail conditions are necessary to address any concerns, which may have come about during analysis of whether the accused presents an unacceptable risk. Our bail lawyer spent the morning preparing a strong, clear and concise bail application. He argued that the prosecution’s grounds against the bail application were weak and unjustified. He further presented that our client did not have a prior criminal history and did not a history of non-compliance with court orders. He also pointed out that, given our clients clean criminal history, it would be unlikely that a court would hand down a custodial sentence if our client were found guilty of the offence. The Magistrate considered both sides of the case and found that our lawyer’s argument was stronger. The Magistrate granted our client bail without imposing any conditions. Both our client and their family were extremely grateful for our out of hours service. We were able to provide them with the peace of mind legal advice that they urgently required during their time of need. If you ever find yourself in a situation where you, a friend or a family member is refused police bail out of ordinary business hours, then you know whom to contact. George Sten & Co Criminal Lawyers closely work with their clients every step of the way to ensure that legal issue is resolved as soon as possible. Our bail application lawyers are available to our clients, 24 hours a day, 7 days a week. If your matter is urgent, act now and contact George Sten & Co on 0412 423 569.